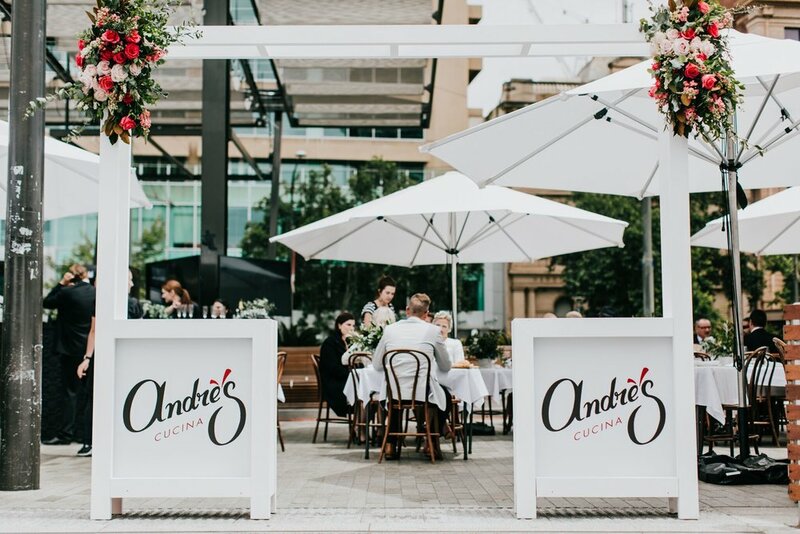 Welcome to Andre’s Cucina & Catering Co. the home of delicious, thoughtful, seasonal catering that can be can be for occasion, any number of people in just about any location, including regional South Australia. We’ll work with you to tailor a catering package that suits your tastes and desires, and fits within your budget. Our menus depend on the availability of produce from our kitchen garden, where we grow as much as possible for use in our dishes. *Please note our 2018/19 diary is filling up fast so don't hesitate to contact us with booking requests and queries! Andre’s Cucina & Catering Co. should be your first thought for a wedding caterer in South Australia. We’ll work with you to create a menu that reflects your tastes, suits your venue and fits within your budget. Every event is special but Andre’s Cucina & Catering Co. will help make it unique. Our event management team can coordinate any occasion, from a picnic lunch to a 300-person gala or month long festival. Celebrate a milestone birthday, a Christmas dinner, an engagement or a "just-because" with an intimate experience in which you’re guaranteed to be wined and dined, with our home catering. Andre’s Cucina & Catering Co. offer our famously delicious Italian food in a form suitable for Board Room Catering.Whether you need breakfast, lunch or platters, we’ll cover your dietary requirements while using the highest quality, seasonal and local produce. Andre’s Cucina & Catering Co. offers an extensive menu for Canapé and Stand Up catering. This approach is perfect for cocktail events, allowing your guests to mingle and move. The MANGIA, MANGIA! menu delivers Italian street food which is soul soothing, crowd pleasing and nothing but “yum”! Whether you would like a shared feast for your private party or just require antipasto platers - we do it all. Only using the very best, seasonal produce too.